The cost of your car insurance is calculated using a range of variables with factors relating to the driver's demographics, the car itself, driving history and policy details. Taking all of these factors into account, insurance providers are ultimately assessing how big of a risk you pose to them. The greater the risk, the higher your premium. A lot of the variables in this category are out of your control, but it is still good to know how the demographic you belong to affects how much you pay for car insurance. Statistically, male teenagers have more accidents than their female counterparts, leading young men to incur higher insurance rates than young women. Discounted rates are normally provided for certain age groups; all insurance companies have their own formula, but the magic age seems to be 25 where you could experience as much as a 20% decrease. Drivers between the ages of 30 and 69 are typically less likely to crash and represent a lower risk to insure. When people enter their 30s, car insurance rates tend to equal out across men and women. Elderly drivers pose a similar risk to young drivers in terms of their likelihood to crash, which is reflected in the insurance rates for those in their 60s. Again, prices for men in this category tend to be higher than women. Using this information, insurance companies can infer how likely you are to make a claim for an accident, theft or damage. Living in a densely populated area will increase your risk of being involved in a collision and having your car stolen. Your homeowner status also affects the rate you're offered - homeowners are typically seen as being more stable and stability suggests a lower risk for insurance companies. Your job is an indication of how likely you are to make a claim. As you might expect, premiums for racing drivers are much higher than an office worker. However, you might be surprised to learn that occupations such as estate agents, journalists and DJs are likely to pay more, largely because they're expected to be on the road more. Simply put, the more miles you do, the more time you spend on the road and the more likely you are to have an accident, making you a higher risk to insure. Similar job titles can result in different rates, for example, chef and kitchen staff, or student and unemployed. If your job title falls under more than one category, it could be in your best interests to get quotes for them all to see which is cheapest*. Statistically married couples have been found to be less of a risk than their single, divorced or widowed counterparts. Single drivers tend to be more active and are twice as likely to be in a car accident as married drivers. Good news for husbands - if you've never been in an accident and have a clean driving record, you could see your rates reduced by nearly 50%. A good credit score indicates financial stability so that insurance companies can see that you're not going to miss any payments (if you pay monthly). On the other hand, a low credit score may increase your premium and providers might ask for you to pay more up front. People with low credit scores (normally under 600) are more likely to file a claim, file inflated claims and even commit insurance fraud. Something that is well in the realms of your control is the car that you choose. There are a number of factors relating to the car itself that affects the cost of your insurance. Insurance companies can gather a lot of information from the make and model of a car including its value and the likely cost of repair. The more your car is worth, the more that the provider has to pay out when you make a claim. If your car is damaged in an accident and the parts are harder to get hold of, the car will cost more to insure. Information on the model reveals the size of the vehicle, it's engine size and specification level. A sporty version with a large 3.0-litre engine is going to cost more to insure than the entry level with a smaller engine of the same model. In terms of age, there's a real balancing act that insurers have to perform. On the one hand a new car has all the latest safety technology, but it is more expensive to replace. On the other hand, older vehicles will cost significantly more to repair, which can sometimes be more than what the car is worth, but will cost less to repair. A car with a high safety rating will always be more attractive to insurance companies compared to a car with a lower safety rating. Active safety technology such as blind spot monitoring and lane departure assist can decrease the likelihood of the car's driver from getting into an accident. Safety features such as airbags, automatic seatbelts and traction control can help to make the car safer in the event of an accident, making it less dangerous. Some models are more attractive to thieves than others. If your car appears in the top most stolen list, it is likely to increase your rates compared to a less desirable car. Where you park your car during the day and at night can change the likelihood of it being stolen. If it's always kept in a locked garage overnight, that's a safer place than on the street. Similarly, a monitored and secure car park is a safer location for you car than a residential street. Insurance premiums for new drivers are so high because the insurance companies don't have information on how safe the driver actually is. By building up a history of no claims, providers can better tell how much of a risk you pose. The amount you pay for your car insurance will directly correlate with your driving history including accidents, claims, tickets and convictions. A driver with previous claims or tickets on their record is more likely to make another claim compared to a similar driver demographic without any blemishes. These blemishes tend to become less important over time if you can accumulate a few years no claims bonuses and avoid getting any further tickets. Most tickets and non-injury accidents stop affecting your rate after three years, whereas injury accidents typically don't affect your rate after five years. If you're convicted of driving under the influence, your premium can be affected up to ten years. As mentioned above, the claims you make will affect the insurance rates you're offered. At-fault claims will almost certainly increase your premium, whereas not-at fault collisions and comprehensive claims may not, largely depending on the amount paid out. The number of claims made also has an affect - if you make three claims in three years, insurance providers will see you as a greater risk to insure and are likely to increase your rates. 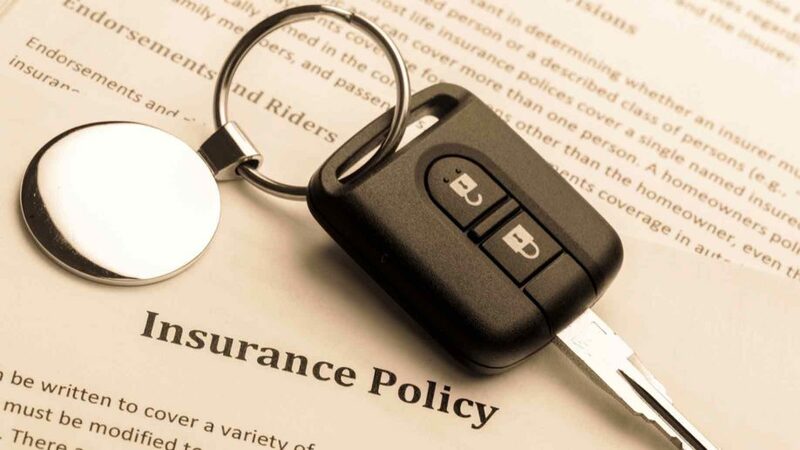 There are a number of things that you can determine regarding the policy itself that can have an affect on the amount you pay for your car insurance. Third party is the minimum you can legally have and it only covers other people and not you or your vehicle. Finally, fully comprehensive (also known as fully comp) is the highest level of cover. It's the only type that covers you if you damage your own car, even if the accident was your fault. Fully comp allows you to claim for repairs aften an accident, accidental damage or vandalism. Typically, the higher level of coverage you take out, the more it will cost you because the insurer is covering you for more claims; however, this isn't always the case and it is largely advisable to opt for fully comprehensive cover if you can afford it. In the event of making a claim, you will need to pay a voluntary amount of excess and the insurance provider will cover the rest of the costs depending on your level of cover. The higher voluntary excess you commit to, the lower your insurance rate is likely to be because you will absolve a larger amount of the cost when you make a claim. This will only make a small difference, but if you choose to pay for your insurance policy outright, you will pay less than spreading the cost over monthly payments. *The details you provide should be as accurate as possible and not misleading, otherwise you risk invalidating your policy.